Photo: Scoobay. Creative Commons BY-NC-SA (cropped). To hear its critics tell it, Germany’s ambitious push to switch over to renewable energy has delivered an electrical grid that’s capricious, unreliable, and prone to blackouts. But according to data highlighted by ECO Report this month, the reality on the ground couldn’t be further from that caricature. Specifically, the availability of electricity in Germany was lost only for an average of 15.91 minutes per customer in 2012, according to figures from the Council of European Energy Regulators. That’s far better than the United States, which saw its electricity become unavailable for a whopping 244 minutes per customer in 2008. Germany also did significantly better than the United Kingdom (lost 81.42 minutes per customer in 2008), the Netherlands (lost 33.7 minutes per customer) and France (lost 95.1 minutes per customer). Of all the countries tracked, Japan and Singapore are the only two with grid reliability to match Germany’s. The assumption is that an electricity system that is constantly switching rapidly between different electricity sources and providers, with big swings in price, must result in an unreliable experience for the average German consumer. The data from the Council of European Energy Regulators shows that’s not the case. The unspoken assumption, then, is that an electricity system that is constantly switching that rapidly between different electricity sources and providers, with swings that big in price, must result in an unreliable experience for the average German consumer. The data from the Council of European Energy Regulators shows that’s not the case. The crazed internal dynamics of Germany’s grid may be stressful for its operators. But the country has managed to stitch all those changes together into a remarkably consistent and reliable stream of electricity for German customers. There’s plenty of precedent for how this could work. 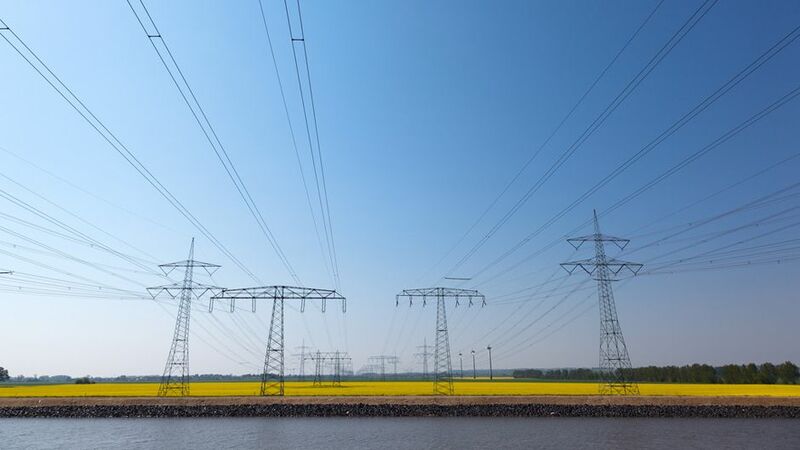 Studies and demonstration projects have shown that by stitching together a diverse portfolio of renewables, and filling in the gaps with a modest amount of natural gas or coal that can be fired up when needed, grids that rely primarily on renewables can actually provide a level of reliability equal to that of traditional fossil-fuel-dependent grids. Germany is certainly not out of the woods yet, however. All the added cost from that switching means Germans face higher electricity prices than their European neighbours along with enjoying a greater level of reliability. And in the short-term, at least, the demands of Germany’s internal switching has driven a modest increase in the percentage of the power it gets from coal, by far its heaviest source when it comes to carbon dioxide emissions. Meanwhile, cleaner sources like nuclear and natural gas have declined. In particular, the country’s decision to shutter its nuclear power out of fears of a Fukushima-like disaster has been a self-inflicted wound on the affordability of Germany’s power supply. But for all that, Germany got one third of its power from renewables in the first half of 2014, a remarkable accomplishment in comparison to its neighbours. For the first time ever, renewables made up more of the grid portfolio than brown coal did. The country also remains committed to the goal of getting 80 percent of its power from renewables by 2050. Jeff Spross is a reporter and video editor for ThinkProgress.org. Jeff was raised in Texas and received his B.S. in film from the University of Texas, after which he worked for several years as an assistant editor in Austin and Los Angeles. During that time Jeff co-founded, wrote and produced The Regimen, a blog and podcast dealing with politics and culture. More recently, he has interned at The American Prospect and worked as a video producer for The Guardian.